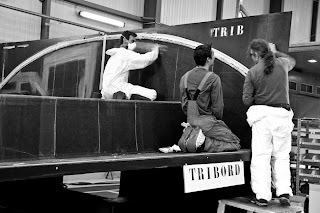 A couple of significant milestones have been passed in the build process for the Volvo Ocean 65 at boatyards in Italy and France. 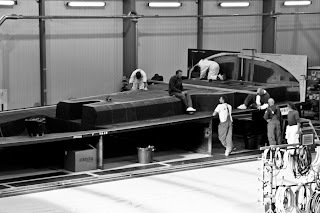 At Persico in Italy, lamination of the outer skin of the first hull being produced has now begun, while at Multiplast in France the first carbon layer for the first deck has been completed. "We have about 20 guys working on this," said Mark Sommerville, operations manager for the work going on at Persico. 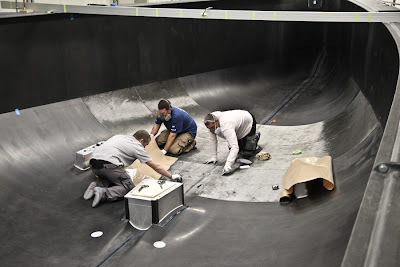 "The final layer of the outer skin went down on Wednesday and we also have a team Thermoforming the foam core." The mould has been produced with an infusion system so that the laminate is less porous, takes in less air and is more stable over a long period of time. The steel structure that supports and strengthens the mould has also been calculated and tested to remain solid throughout the curing process. 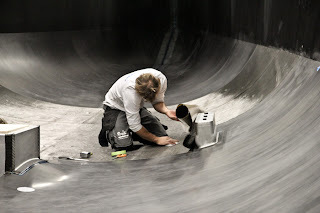 The 12.5mm thick mould, for which around 1,400 kilos of resin have been used, is cut longitudinally to facilitate the unplugging and includes removable flanges at the top sides that create the structure where the deck will be joined to the hull and the special recess for the keel ram. “It will take eight weeks to produce a hull, fitted with the bulkheads provided by Decision SA that will make the structure stiffer and ready to be shipped to Green Marine,” said Marcello Persico managing director of Persico's marine division. The huge structure will be carefully cured with the help of several powerful burners that will take the inside temperature to 80-90°. 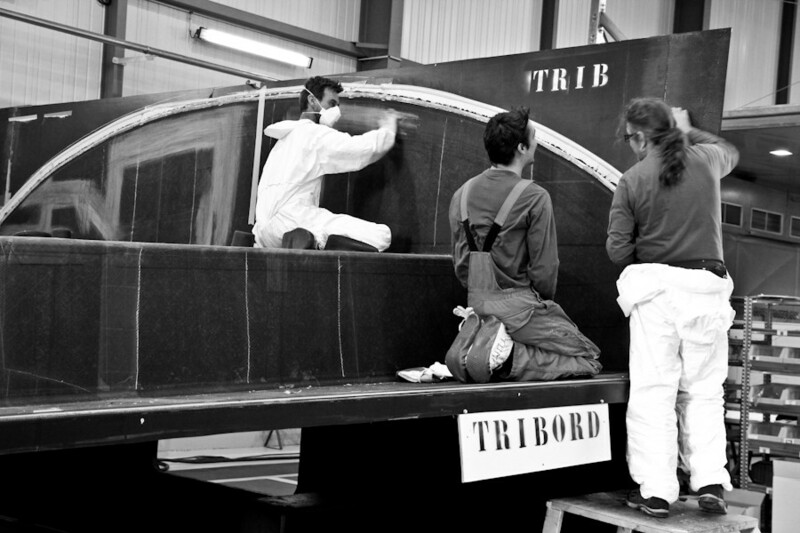 Meanwhile at Multiplast in Vannes, France the Volvo Ocean 65 deck’s first carbon layer has just been finished. The first deck should be completed by mid-February and delivered to Green Marine to be assembled. 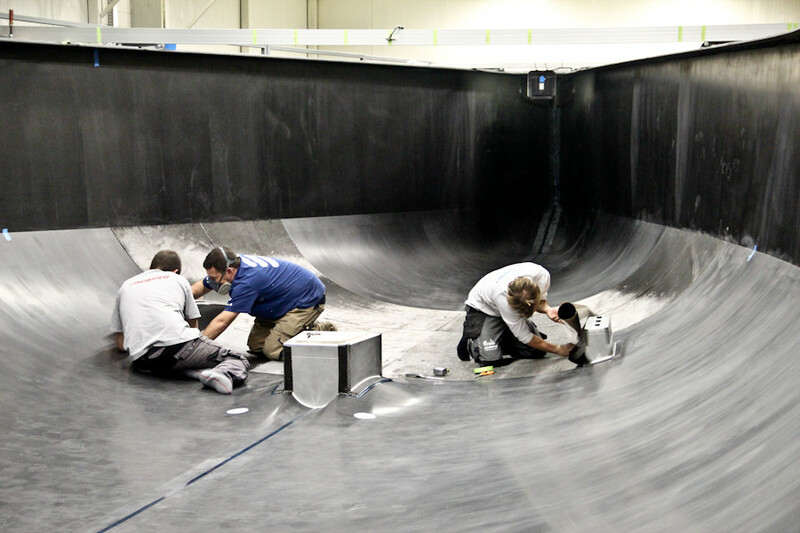 “We just finished cooking the first carbon skin of the first deck. Every deck will be cooked four times: the outer skin is cooked then a second time for the honeycomb and foam core and a third and fourth time for the inner skin,” confirmed director Yann Penfornis, whose enthusiasm for the project is obvious. Multiplast is tackling this technical challenge with a 30-person dedicated team. Their 200°C oven also allows the carbon and core components of the deck to cook more efficiently. “Making sure it’s a one-design product is a challenge,” explained Penfornis. “Here at Multiplast we know how to build 20-metre boats. But building eight identical boats with only a few kilos of difference does require a good traceability with processes and plans. Each piece of foam has to be weighed. The sailors won’t have any excuse; they need to race on equal terms. We don’t want to hear them saying the boat three is faster than boat five. 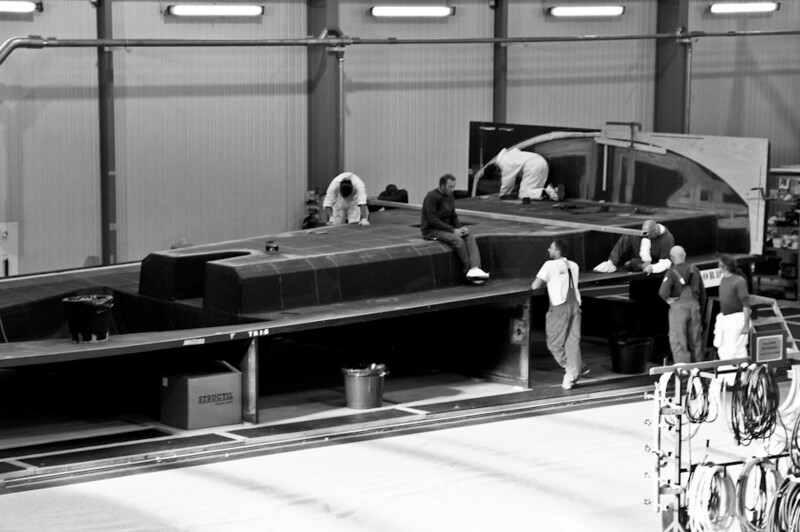 The first boat off the production line is expected during late June 2013. After that the plan is to have each new boat sailing within three to four days of leaving the boatyard, but before passing this even bigger milestone, there are still a lot more deadlines to meet.